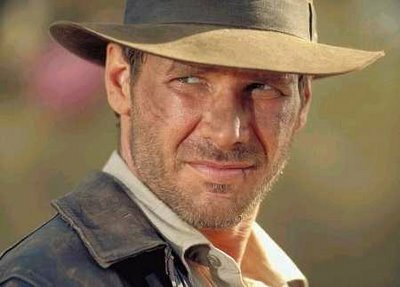 Indiana Jones has a whip in his new movie, and he uses that whip to fight guns. And oh yeah guys, spoiler alert on this one, the whip totally beats the guns by whipping them out of the bad guy's hands! Here are some other adventure movies and how they make use of unusual or alternative weapons. In Fiefdom, Yukon faces The Lords of the Underground, all of whom have missiles. Lucky for Davey that he has his trusty belt sander. Final score: Missiles: Zero, Belt Sander: Victorious. Hopelessly trapped in the land between consciousness and dream, Dan Rothman, must fight the evil that is inside him (as represented by several big snakes who always want to bite him) good thing he has his trusty mace and mobile gallows. George Takei defeats the devil using the power of love. During the third pirate attack, Sally wields a giant pelican’s beak to swallow the Pirate King. Meanwhile, Billy Crystal uses his magic pen to draw things which fall on people’s heads like in the cartoons.